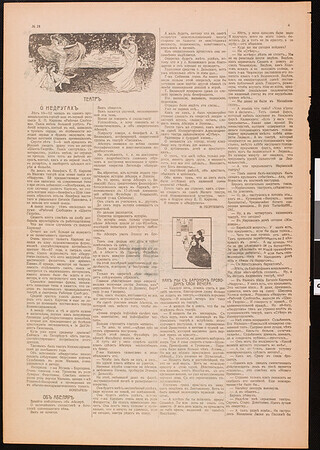 Gazeta Shebueva [Shebuev's Newspaper], vol. 1, no. 21, January 21, 1907. Published by N. G. Shebuev. Edited by V. Ia. Bykov. St. Petersburg. Typography: Tovarishshestvo Vol'naia tipografiia. Journal of political satire. This issue contains poetry, prose, pictures and illustrations by artists and writers.